NEW YORK - U.S. President Donald Trump’s trade war is heating up. Days after imposing tariffs on $34 billion worth of Chinese exports, with an additional $16 billion under consideration, the administration announced that it was also contemplating tariffs on an extra $200 billion worth of Chinese-made products. Just over a month ago, Trump had also imposed punitive tariffs on steel and aluminum imports from such allies as the European Union, Mexico and Canada. 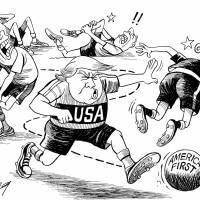 They have retaliated, so did China and it has promised to continue retaliation should the United States impose more tariffs. Trump is betting that he can win this war. After all, China exports over $500 billion to the U.S., while the U.S. exports only $130 billion to China. The effects of Trump’s trade war will be material. First, punitive tariffs will raise the price of the goods affected. Retaliatory action by the EU, Canada, Mexico and China will do the same to their economies. Trump has already threatened that the Canadians and Europeans “make a mistake” if they retaliate. There is no reason to believe that Trump will not answer each counter-tariff with more tariffs of his own. Before we know it, retaliatory actions will be mounting on top of retaliatory actions and consumer prices on a wide spectrum of goods will rise. But more importantly, Trump’s tariff actions may destroy global supply chains. These have been built into the DNA of large manufacturing firms. However, way beyond just benefiting the “biggies,” they also provide jobs in many small firms that are an integral part of these supply chains. If tariffs and counter-tariffs disrupt this very efficient global division of labor, this indirect consequence of tariffs comes at a cost in inflation that will be a multiple of the direct price effects from punitive tariffs. Ditto with just-in-time delivery, which is highly correlated to global supply chains. If it gets unwound, storage costs will rise and so will related consumer prices. Once inflation begins to take hold, there is a more insidious effect it has on prices — usually referred to as “inflationary expectation.” It holds that corporations, consumers, even governments expect next year’s inflation to be just as bad or even worse. In preparing for such event, they make it a self-fulfilling prophecy. To be sure, moderate inflation can be a good thing, especially when it is caused by a booming economy and higher wages increasing the net wealth of large parts of the population. But this is notably not the scenario of a trade war. Inflation, in this case, is not the result of a booming economy, but it is an externality which no private sector economic agent can control. Therefore, global growth will fall, jobs will be lost, yet prices will jump. Welcome to an economist’s greatest nightmare: Stagflation. Stagflation puts monetary policy in a conundrum. On the one hand, high inflation demands an increase in interest rates to maintain price stability. Yet at the same time, depressed economic growth demands low interest rates to stimulate the economy. The exit strategy from stagflation is an uncertain one unless one reverses the original triggers for its occurrence, in this case removes the new tariffs. It is hard to imagine that a Trump administration would have the courage for such admission of policy failure. 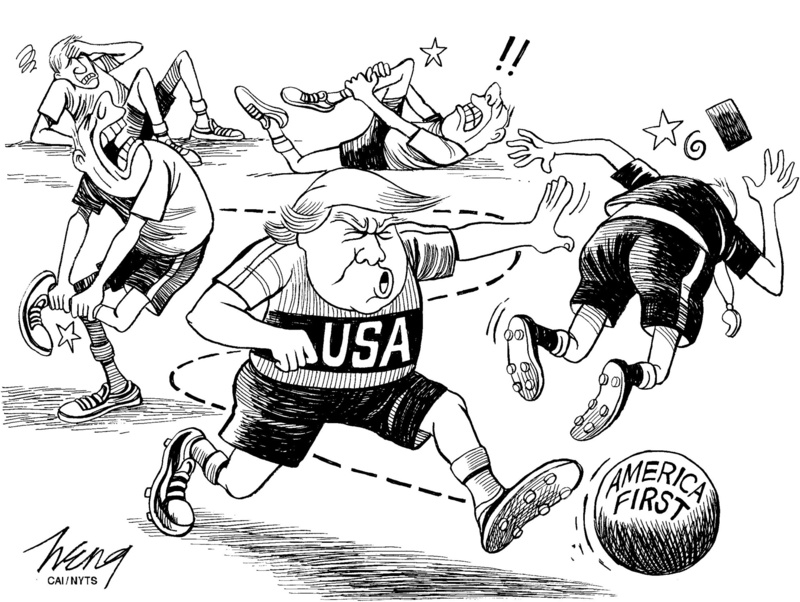 Accepting the risk of stagflation is especially ludicrous when history has shown that tariffs will simply not bring jobs back to America. The Smoot-Hawley tariffs signed into law by U.S. President Herbert Hoover in 1930 and the retaliatory counter-tariffs were a major factor in the Great Depression. As recently as March 2002, the newly-elected President George W. Bush too imposed steel tariffs. After they were found in violation of the rules of the World Trade Organization, they were lifted in December 2003, but not before some 200,000 jobs had been lost in the U.S. as a consequence. Jobs were lost, because for every single steel factory job created, several more jobs vanished in industries that needed to purchase the pricier steel. According to the Peterson Institute for International Economics, each steel job saved cost the U.S. economy $400,000.